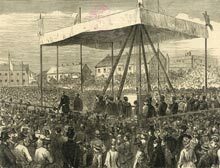 The laying of the foundation stone of Nottingham's new civic college in September 1877 was marked by a supporting speech from the former prime minister, W E Gladstone. It was the culmination of a long campaign by the Nottingham Mechanic's Institution. The cause had been given a boost when an anonymous benefactor offered £10,000 for a college, on condition that the Town council should erect a suitable building and endow it with £4000 a year. The construction of the new building in Shakespeare Street took four years. 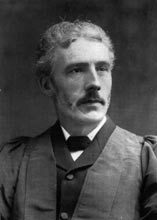 Nottingham University College was formally opened in June 1881 by Prince Leopold, Duke of Albany. In its first year there were 381 day students - many of them women. Its 623 evening students were often in employment and looked to the College for training in scientific and technical skills. During the first session a series of free public inaugural lectures was widely advertised. The College also housed Nottingham's Free Library and a Natural History Museum. Frank Clowes, who taught Chemistry, was one of only four professors when the College began. In 1887 he became the first Principal of the College.